Save The Animals Foundation	No-Kill shelter for homeless, abused & abandoned animals in the Cincinnati area. STAF Adoptions	Experts in arranging long-term loving relationships. Volunteer	Paid with purrs and tail wags and the joy of making a difference. Upcoming Events	Join us at our next event! 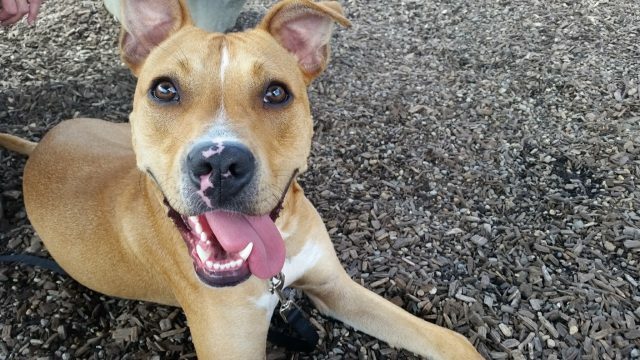 Meet our Furry Feature of the Week! Adoptable dog Homer and adoptable cat Esmerelda! 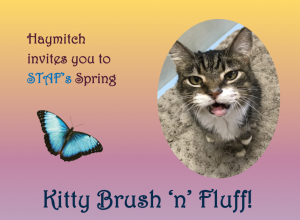 Spring Kitty Brush ‘n’ Fluff on Sunday, April 28th! Come out and spend the day holding, cuddling, brushing, and fluffing the fabulous cats of STAF! No need to be a volunteer – everyone is welcome at this amazing family event. 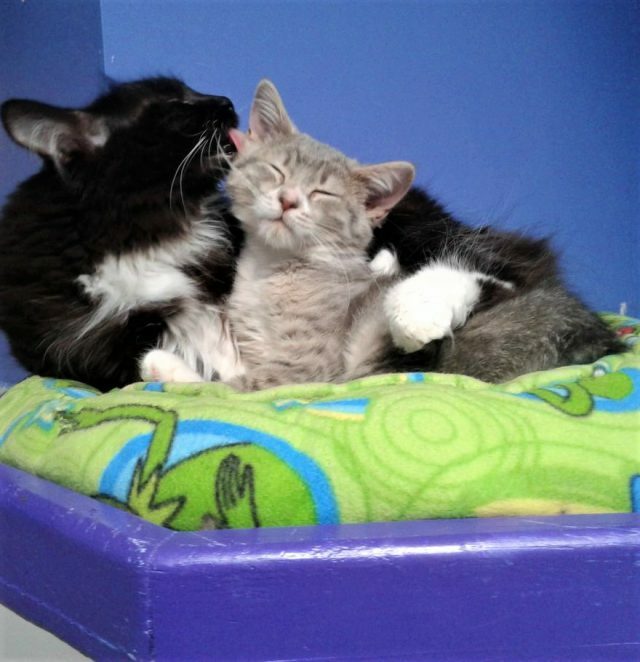 Bring the kids and spend the afternoon in kitty bliss! STAF STARS! Ninja Pup makes his media debut. Ninja Pup visited the Warm 98.5 studios in hope of finding his forever home. 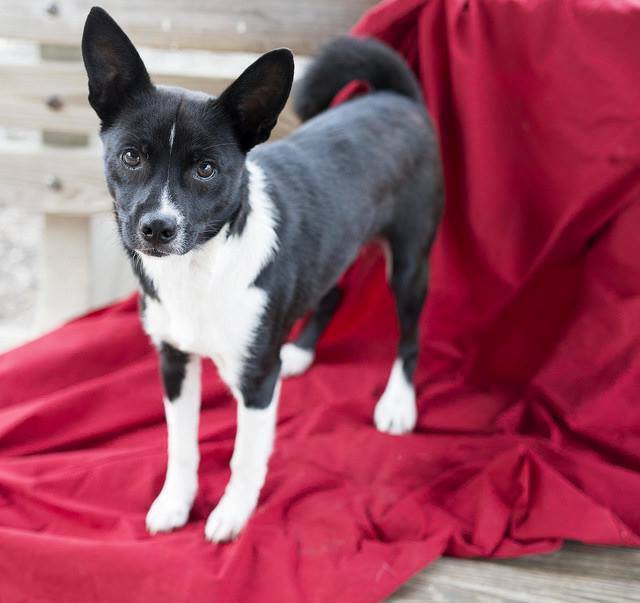 To find out more about Ninja Pup view his petfinder profile here. Thank You to Our Amazing Community Partner! All of our volunteers were thrilled to learn that STAF was recently awarded a generous grant to support our Medical Fund. A heartfelt thank you to The H.B., E.W. and F.R. 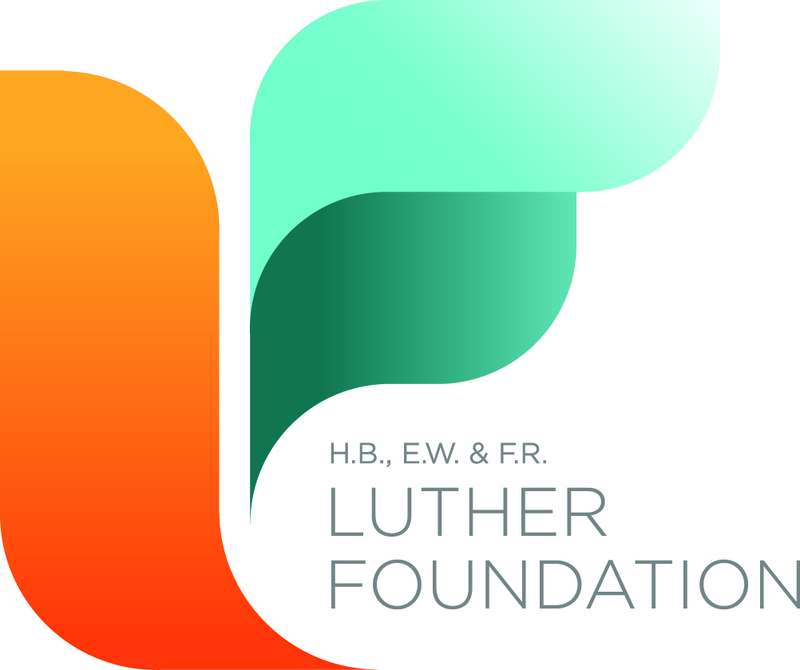 Luther Charitable Foundation, Fifth Third Bank and Narley L. Haley, Co-Trustees. This Medical Fund grant will make a huge difference in the lives of so many cats and dogs. 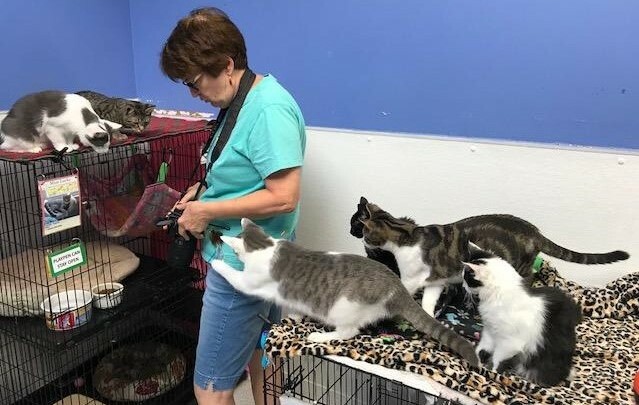 Our medical expenses are almost one-half of our shelter’s overall budget and these grants will help us give emergency medical care, save lives, and ensure many unwanted animals have the chance for a home, love, and lifelong care. Working together, we can make a difference for the animals in our community. THANK YOU for supporting STAF – we hope you realize just how much we appreciate you – we couldn’t do it without you! 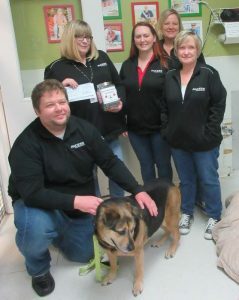 Axcess Financial Donates to our Dog Zoe! A great big thank you to Lori, Traci, Kim, Jessica, and Doug, on the Customer Advocacy Team at Axcess Financial! Having their department oversee all of the fun events for their company during the month of February, they made it a team challenge by hosting a bake sale as part of their donation drive for STAF. Their generous check for $500 will go towards the medical expenses for one of our newest rescue dogs, Zoe, returned to us after his owner fell on hard times and had to move where there were no dogs allowed. We will most certainly provide Zoe with the care he requires and we sure are grateful to Lori and her teammates for realizing how much fun it is to enjoy the gift of giving! Springtime walking weather is here! Did you know that every walk you take can benefit Save the Animals Foundation? 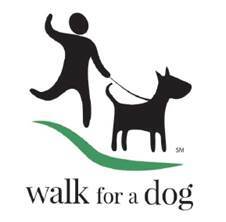 Download the Walk for a Dog app from the App Store or get it on Google Play. Sign up and select Save the Animals Foundation. Every time you go for a walk, use the app to start and end your walk, and your walk will earn a donation for STAF! You can track your progress on the app and see the impact your walks have made! You can learn more on the Walk for a Dog/Wooftrax website. 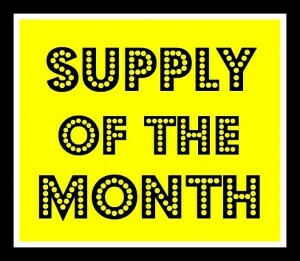 Help us stock up on supplies! For cats, we are requesting hand sanitizer. For dogs, we are requesting leashes. Supplies can be dropped off at the shelter, 4011 Red Bank Rd., Cincinnati, OH 45227. If shopping on Amazon, be sure to sign in to smile.amazon.com, choose Save the Animals Foundation, make your purchase, and STAF will receive a 0.5% donation from the purchase of eligible items! The STAF cats and dogs say THANKS! Get the latest updates and learn how you can help by signing up for our monthly STAF E-News. Once a month you’ll receive our newsletter full of happy endings, heartwarming rescues and PAW-sative stories about our volunteers going the extra mile! 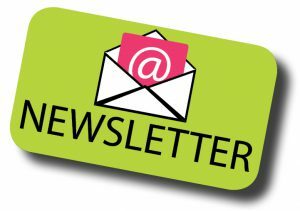 Our newsletter also includes monthly fundraising events to help STAF you can attend, recent rescues, our adoptable cats and dogs and special stories showcasing the enrichment we provide our animals! 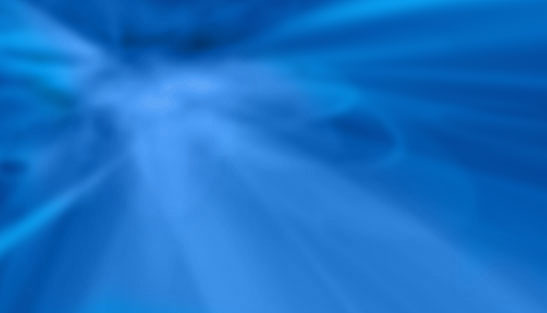 See our sign up sheet on the left side of our homepage here to receive your monthly STAF E-News. 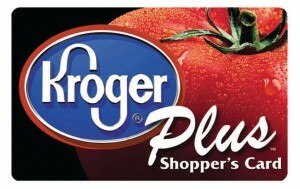 Got a Kroger Plus Card? Of course you do! Who doesn’t?! Did you know you can designate STAF as your favorite charity and a percentage of your purchase price goes directly to STAF! Please remember you have to Renew your Community Rewards choice each April to keep Kroger’s donation money coming to the STAF animals. For directions on how to register click here. Mark your calendar for our next event – we guarantee there is something for everyone! Fill in your contact information in our form at left to get our monthly eNEWS and never miss an event! Share the joy! Is there anything more heartwarming than a match made in heaven?